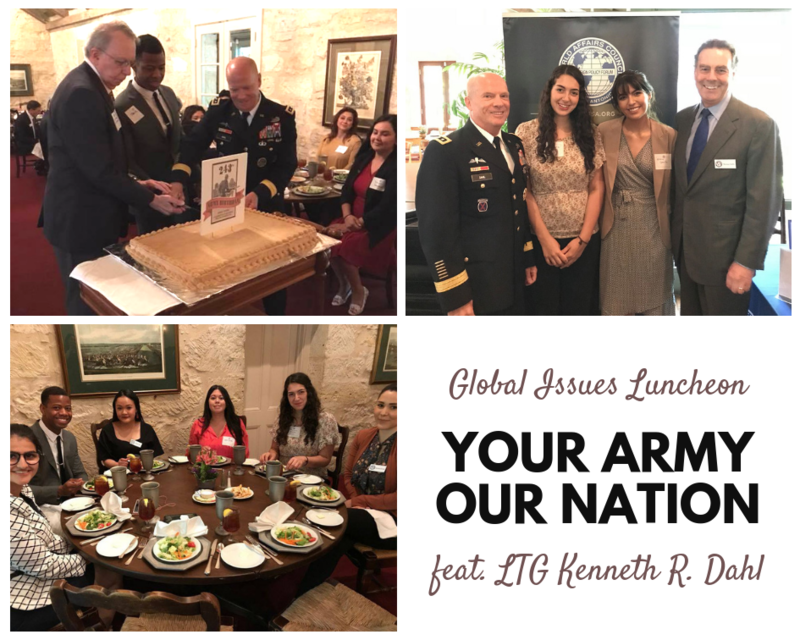 Lieutenant General Kenneth R. Dahl has been the commanding general of United States Army Installation Management Command, headquartered in San Antonio, since November 2015. In this role he commands more than 54,000 employees around the globe who run our Army bases, from gate guards to golf courses, and firing ranges to facilities management. Dahl is responsible for managing an annual budget of over $12B, and over half of the contracts supporting the Army. He is recognized as a key and proven change agent, having instituted reform across IMCOM in ways the Army at large is adopting now. He has innovative ideas about topics like joint basing and policy reform, and relishes any opportunity to engage business and civic leaders to learn and explore ways to integrate our American citizenry with their Army, and strengthen our Nation. 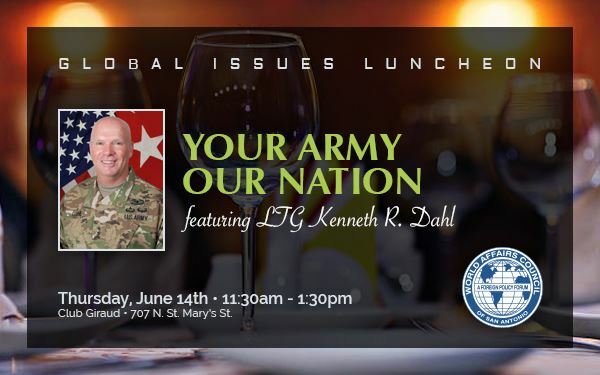 June 14th is America's Army's birthday and General Dahl recognized the traditions associated with that, provided a brief update on the state of the Army, and explained ways for business and civic leaders to partner with the Army to strengthen communities and reduce government expenditures. He allocated half of his time to interacting and exchanging ideas with council members.